By using this website, you agree to the following terms, conditions and policies. Please read them carefully before using this website. By viewing this website or anything made available on or through this website, including but not limited to programs, products, services, opt-in gifts, e-books, videos, webinars, blog posts, e-newsletters, consultations, e-mails, social media and/or other communication (collectively referred to as “Website”), you are agreeing to accept all parts of this Disclaimer. Thus, if you do not agree to the Disclaimer and policies below, please leave the site at once and do not access or use this Website. We are doing our best to prepare the content of this site. However, Dwyer Psychological Services cannot warranty the expressions and suggestions of the contents, as well as its accuracy. In addition, to the extent permitted by the law, Dwyer Psychological Services shall not be responsible for any losses and/or damages due to the usage of the information on our website. The links contained on our website may lead to external sites, which are provided for convenience only. Any information or statements that appeared in these sites are not sponsored, endorsed, or otherwise approved by Dwyer Psychological Services. For these external sites, Dwyer Psychological Services cannot be held liable for the availability of, or the content located on or through it. Plus, any losses or damages occurred from using these contents or the internet generally. This Disclaimer page was created at Free Disclaimer Template.net. This website is owned and operated by Dwyer Psychological Services PC, Our principal place of business is located at 2305 E Arapahoe Rd Suite 250,Centennial, CO 80122. Intellectual Property Rights: Other than the content you own, under these Terms, Dwyer Psychological Services, PC and/or its licensors own all the intellectual property rights and materials contained in this Website. 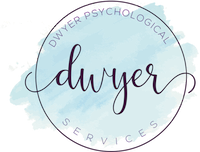 Certain areas of this Website are restricted from being accessed by you and Dwyer Psychological Services, PC may further restrict access by you to any areas of this Website, at any time, in absolute discretion. Any user ID and password you may have for this Website are confidential and you must maintain confidentiality as well. Your Content: In these Website Standard Terms and Conditions, “Your Content” shall mean any audio, video text, images or other material you choose to display on this Website. By displaying Your Content, you grant Dwyer Psychological Services, PC a non-exclusive, worldwide irrevocable, sub licensable license to use, reproduce, adapt, publish, translate and distribute it in any and all media. Your Content must be your own and must not be invading any third-party’s rights. Dwyer Psychological Services, PC reserves the right to remove any of Your Content from this Website at any time without notice. No warranties: This Website is provided “as is,” with all faults, and Dwyer Psychological Services, PC express no representations or warranties, of any kind related to this Website or the materials contained on this Website. Also, nothing contained on this Website shall be interpreted as advising you. Nothing on this website shall be interpreted as mental health, medical, nutritional, nor religious advise. You are advised to consult with your own providers with any questions regarding your unique circumstances and before beginning or changing any health care or mental health course of treatment. There are no warrantees nor guarantees related to your use of this website nor related to your work with me should you choose to engage my services. While the website owner, employees, or contributors of content may hold mental health or other professional licenses, nothing on this site is provided as diagnosis or treatment of a mental health or medical disorder. Our website and related materials are provided for educational and informational use only and solely for your own use. Limitation of liability: In no event shall Dwyer Psychological Services, PC, nor any of its officers, directors and employees, shall be held liable for anything arising out of or in any way connected with your use of this Website whether such liability is under contract. Dwyer Psychological Services, PC, including its officers, directors and employees shall not be held liable for any indirect, consequential or special liability arising out of or in any way related to your use of this Website. Indemnification: You hereby indemnify to the fullest extent Dwyer Psychological Services, PC from and against any and/or all liabilities, costs, demands, causes of action, damages and expenses arising in any way from use of this website or related to your breach of any of the provisions of these Terms. You agree to indemnify and hold harmless our website and company for any and all direct or indirect loss or conduct incurred as a result of your use of our website and any related communications, including as a result of any consequences incurred from technological failures such as a payment processor error(s) or system failure(s). Variation of Terms: Dwyer Psychological Services, PC is permitted to revise these Terms at any time as it sees fit, and by using this Website you are expected to review these Terms on a regular basis. Assignment: The Dwyer Psychological Services, PC is allowed to assign, transfer, and subcontract its rights and/or obligations under these Terms without any notification. However, you are not allowed to assign, transfer, or subcontract any of your rights and/or obligations under these Terms. Entire Agreement: These Terms constitute the entire agreement between Dwyer Psychological Services, PC and you in relation to your use of this Website, and supersede all prior agreements and understandings. Governing Law & Jurisdiction: These Terms will be governed by and interpreted in accordance with the laws of the State of Colorado, and you submit to the non-exclusive jurisdiction of the state and federal courts located in Colorado for the resolution of any disputes.